Am I getting a fair deal? Hey guys, knew to FSJs, not new to wrenching. 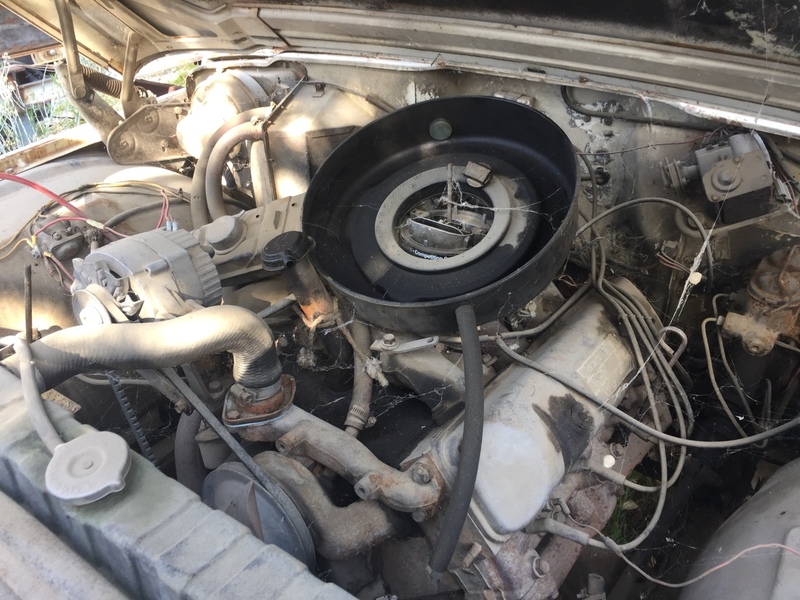 I’m looking at buying my first FSJ for $1500. She has a bit of rust, but was running well when she was parked a little over a year ago. Mostly original. I’m happy to pay the $1500 as I think it’s a fair deal, (been wanting one for a long time) but just want to get some expert opinions. Thanks! Re: Am I getting a fair deal? I personally would not pay $1500 for that. 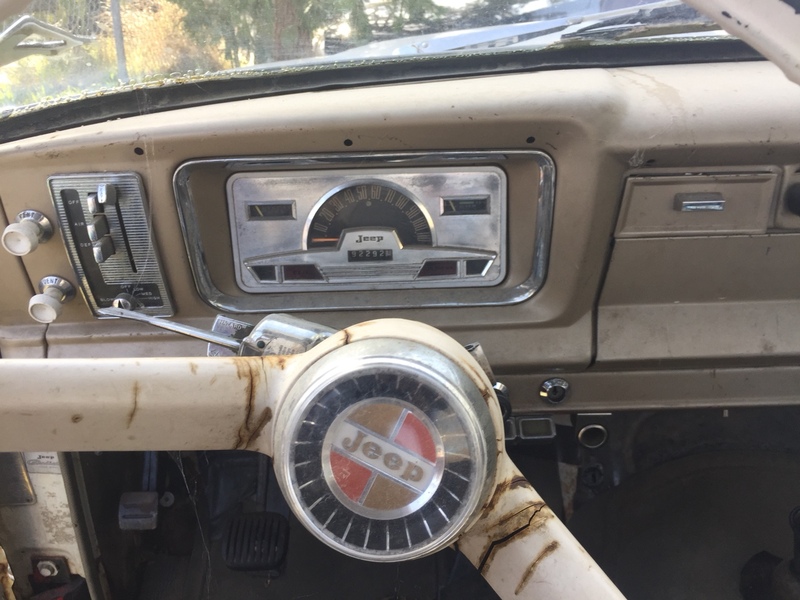 Jeep trucks just don't go for much when in good running condition. Much less in that condition. I paid $1600 for my 68 with 327 and t18. It was running and drivable but needed maintenance on everything. If it was me I’d offer less. Also clarify the trans - an original 4spd should have reverse to the right and up not down as the knob indicates. Not the original trans. Owner is a good friend and told me a little over a year ago, he was driving it daily to Glendale which is an hour and 20 from here. I’ll take that with a grain of salt. How much do you guys think would be fair? I based the $1500 off scouring autotempest for a few days. Frame is surprisingly not pitted with rust, but I do have a fair amount of body work to do. I just turned 20 this month, but have been wrenching for the past 3 years apprenticing at a local restoration shop. Id keep looking, everyone knows my 90 Grand Wagoneer and the rust adventures i went through on it, but it was just the floors and some parts of the frame in the rear that were easily fixed.. But if the body is rusting that much i wouldnt bother it would be alot harder to fix all that. Thanks all. I passed due to your recommendations. I found a new one that I am looking at now. Wish me luck! Don’t get discouraged. I think the first one you found would’ve made a decent project and the rust didn’t look that bad to me but $1500 seemed high. 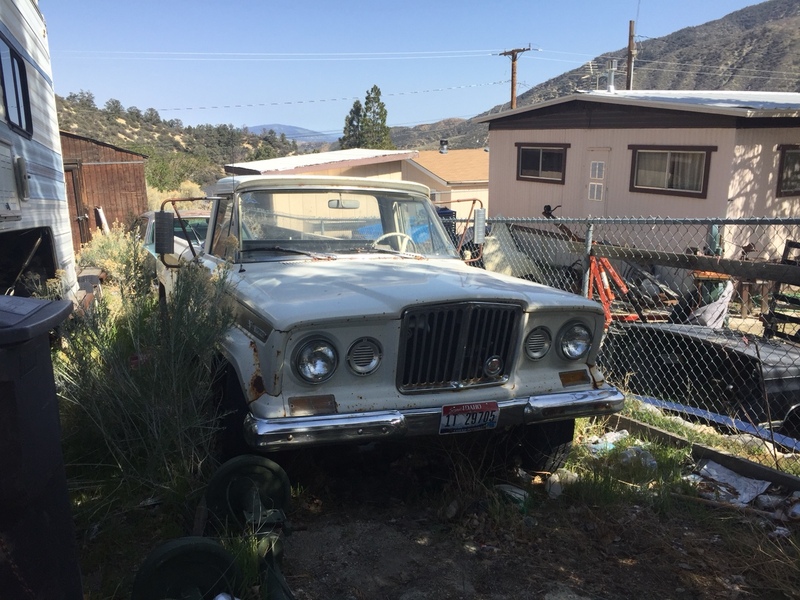 This one has a running 327, 4 on the tree, and original interior that honestly is in great condition. Owner by an older gentleman who was in the process of getting the clutch replaced, and the mechanic who was working on it died before finishing it. I tried tracking down the camper shell, and I got the name of “Shell City Campers”, but that’s all I came up with. As far as I’ve seen the column shift manual trans was a 3spd, not including reverse. It looks like a cool truck and I dig the canopy. My bad. It’s a 3 speed. That one looks pretty badass.. but id remove the shell on the bed.. Never been a fan of those on pickups.. but thays jusy me of course. How much does he wants for it ? So how did your truck turn out now that you’ve had it for a little while?